BioWare’s latest action-adventure delivers an unparalleled story set in a vast, changeable landscape. Explore, lead, and battle! BioWare’s latest action-adventure delivers an unparalleled story set in a vast, changeable landscape. Skyhold Throne - Every ruler should sit in a place of high honor, but as the Inquisitor you will have the greatest of all, fashioned from an ancient dragon skull. Red Hart - Navigate the perilous, living world atop this great-horned beast. Bog Unicorn - Once belonging to an evil marauder, this unique mount has returned to inspire fear into those who would oppose you. 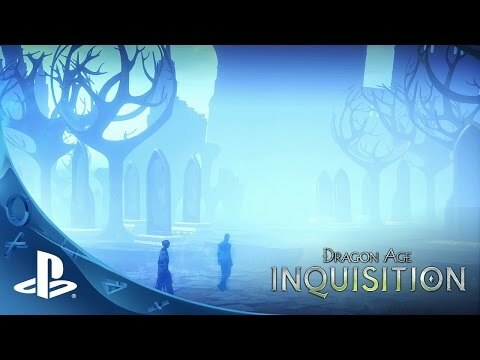 Dragon Age Multiplayer Deluxe Edition chests. The Deluxe Upgrade also contains the mighty Flames of the Inquisition Armor, Armored Mount, and Weapons Arsenal!